Here are some screenshots of the program, and descriptions of the main modes of operation. 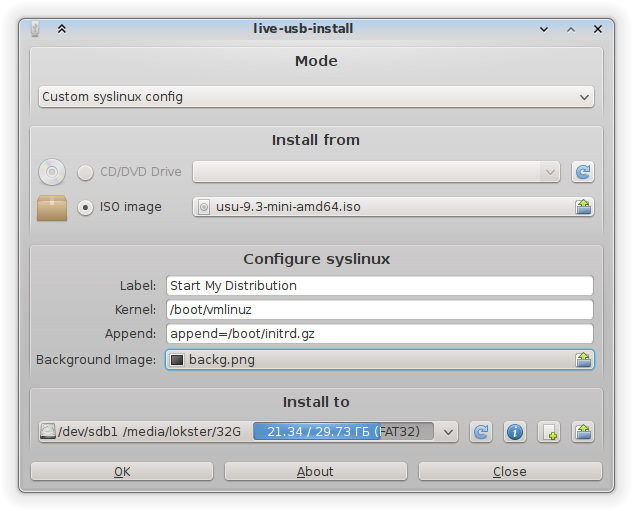 The main window, “Distribution” mode – install from local file. This is the default mode of operation. When you select the iso file, the program will try to autodetect the distribution, based on the filename. You can also use the “ABC” button to try to detect it based on the MD5 sum of the file. 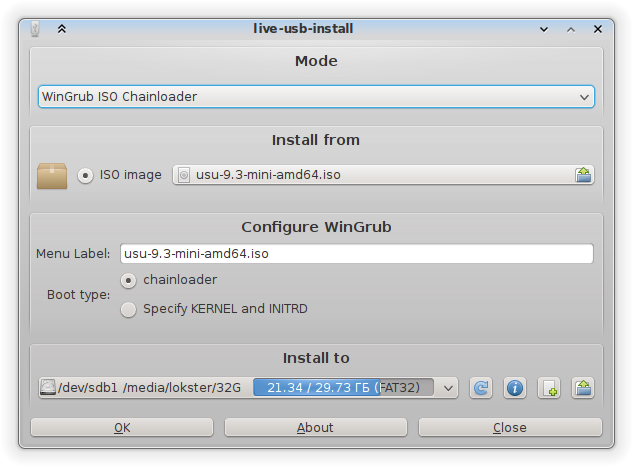 “WinGrub ISO Chainloader” – allows you to boot almost any distribution from the usb drive, even unsupported ones, using the “chainloader” mode of GRUB. Not all BIOS-es support this, so your mileage will vary. “IMG Write” – Image writer mode. Write raw disk img files or “hybrid” iso files to the usb drive. 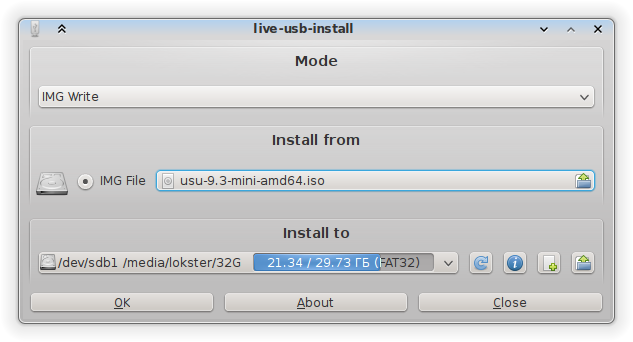 You can install almost any distribution this way, even unsupported ones, as long as they provide img file or hybrid iso. Note – the whole removable drive will be wiped!